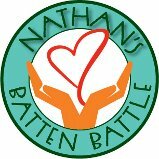 Our 14 year old son has been diagnosed with Juvenille Batten disease. This is a very rare neurodegenerative disorder that is fatal. This is our journey. Tomorrow my little, big man goes to High School. To say I am a ball of nerves would be am understatement. It is a new school, new staff, new peers, new surroundings, new everything. We know Nathan does not do well with transition, so I am apprehensive. What I will say is that the communication with the staff has been wonderful. They are really focused on making Nathan’s days meaningful and joyful and at the end of the day, that is all we want. I am happy that Madison and Nathan will be back in the same building after 2 years apart, so I am hoping she peeks in and says hello to him. It has been a rough summer and that is putting it mildly. Nathan spent time in the hospital, had another seizure, hallucinated and generally has not been himself. I think getting back into a routine will do a world of good for him. We did opt to do a shortened day to try and help him be more successful. We think that this sets him up for a successful day. My company has allowed me to be a remote employee since January and it has been wonderful to have the flexibility to be home. Even though Nathan has caregivers come in during the day, it will be nice to have some quiet again. We have some pretty exciting news about our house that I will share when I know the time is right, but let’s just say there are some pretty amazing things about to happen by some pretty incredible people. Without going into specifics, the Batten conference was really hard for us. We normally leave rejuvenated, but this time we left feeling defeated. Please pray for a smooth transition for Nathan and Madison as well. I just want them to be happy.